Tammy's Spot: Sorry . . . I messed up! 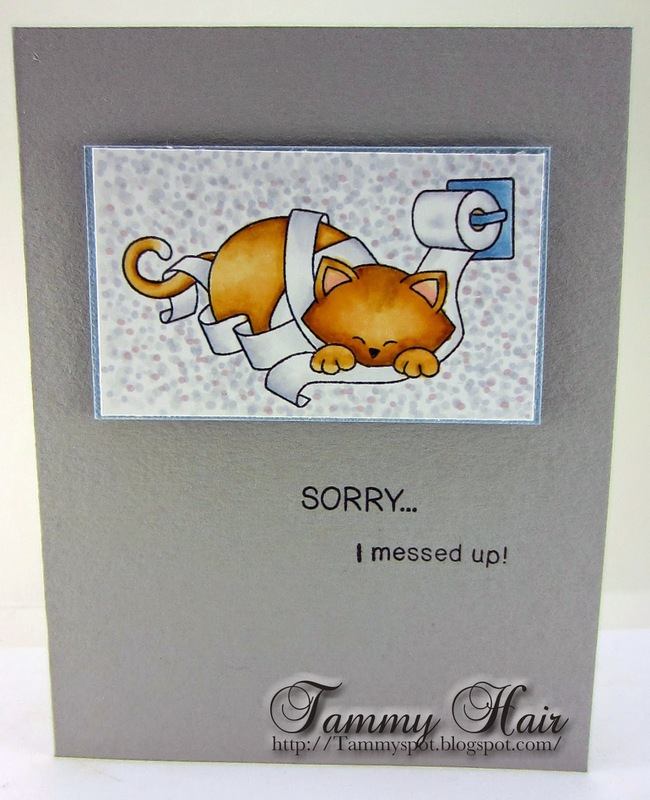 Another card made from the Naughty Newton stamp set from Newton's Nook Designs. Such a great set of mischievous cats and sentiments. Irresistible for those of us who are slaves to cats! Awww adorable image! Stunning colouring and I love the sentiment too. No one can color like you, Tammy! This is sensational!! Awesome Tammy..I had a cat that did that everyday if the door was left open..
Naughty but fun and, oh, so adorable! Adorable Tammy, love the cute kitty! LOL...isn't that the truth. We work so hard for their affection and acceptance. :) I LOVE your card!!! This is darling - great coloring! Sweet little kitty! I love the white tip on his tail! Hee hee fab card and I have a naughty kitty who will do exactly this given half a chance!